December 5, 2015, Queens, NY It was over. Quickly, Brutally, Spectacularly. 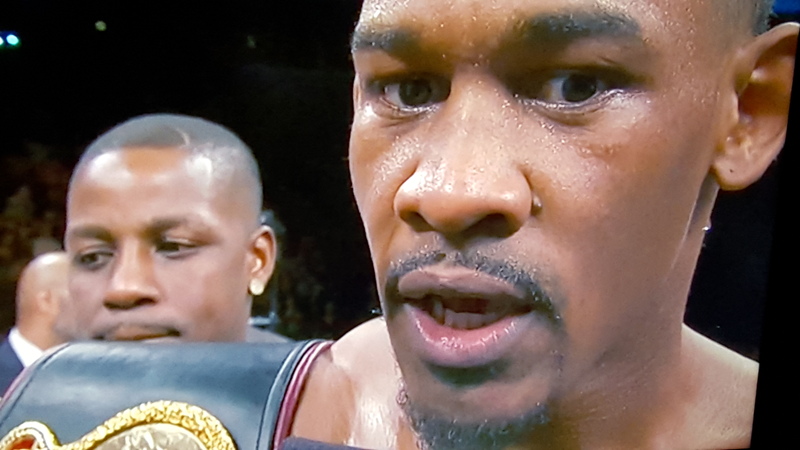 Forty-four seconds into the fight, WBA middleweight champion Danny Jacobs (31-1, 28 KOs) blasted Peter “Kid Chocolate” Quillin (32-1-1, 23 KOs) with a right cross bomb that was the beginning of the end. 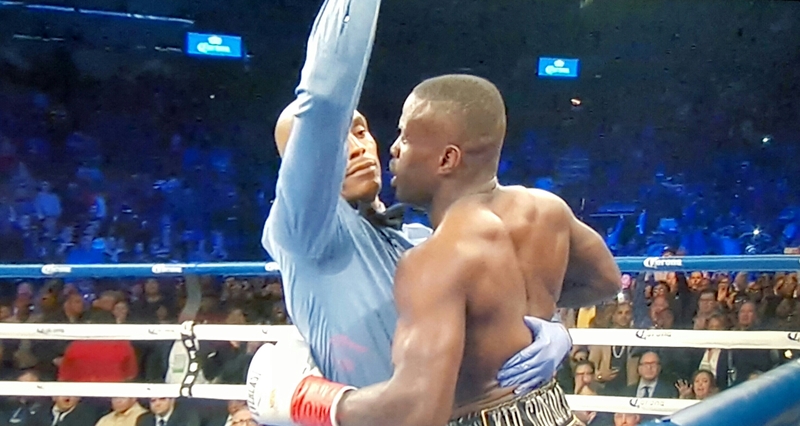 The referee, Harvey Dock, called an end to the fight at 1:25 in the first round when Quillin was clearly dazed after a crushing right hand to the temple and staggered when the referee stepped in between the two fighters. The fight was highly anticipated and billed as “The Battle for Brooklyn” even though it didn’t turn out to be much of a battle. Jacobs was the born and bred Brooklynite while Quillin migrated from Grand Rapids, MI, but has lived in Brooklyn for over a decade. 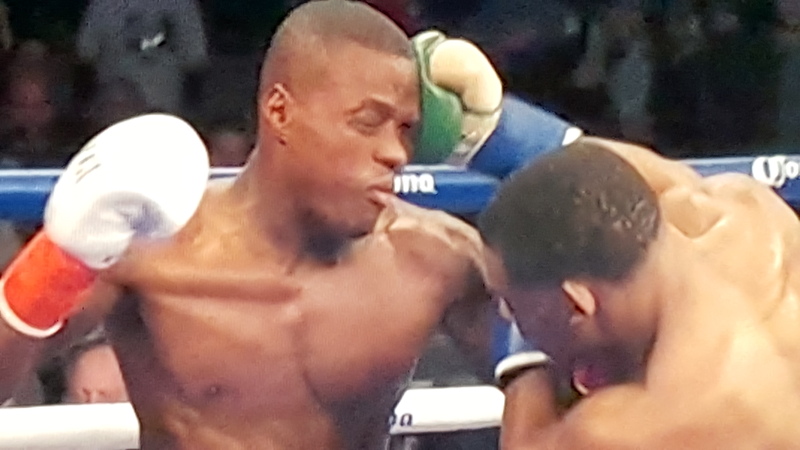 If you were told the fight would end in the first round, most people would presume that Quillin would be the victor. 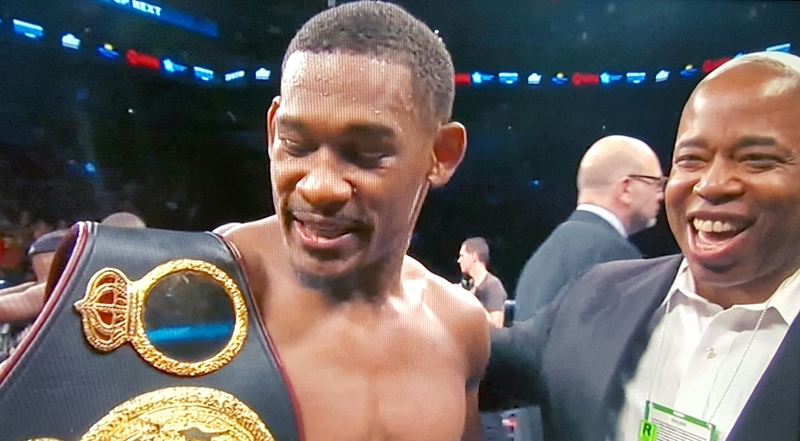 PureSportsNY Senior Boxing Writer Greg Jacobs felt it was a “pick ’em” fight but remarked, “I give a slight edge to Quillin since he’s fought the better competition, but Jacobs is a good fighter and the better technician. It’s hard, though, to root against either one of these fighters because they’re both great young men.” Jacobs was referring to their backstories. Both fighters have overcome adversity. Jacobs was a top pro prospect who was suddenly stricken with life-threatening cancer. Quillin came to New York, was homeless and unemployed, and worked his way–inside and outside the ring–to become a world champion. 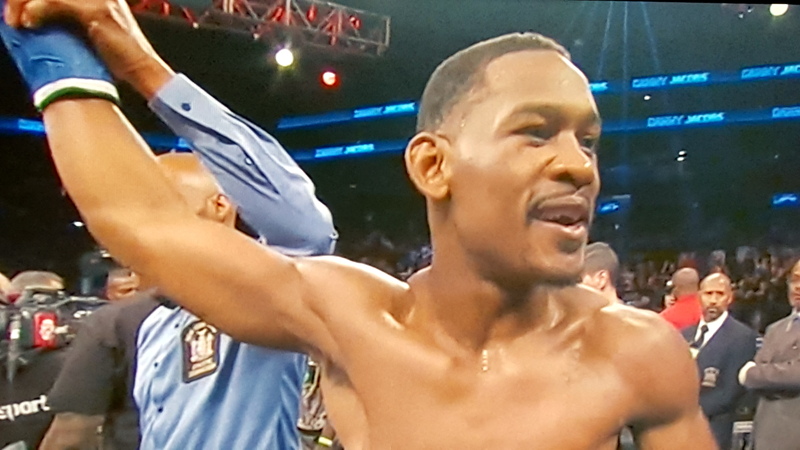 Up next for Jacobs is a shot at the winner of the Andy Lee-Billy Joe Saunders fight. Jacobs would obviously want to fight Gennady Golovkin (Triple G) or Saul “Canelo” Alvarez for their middleweight belts. But for now, Jacobs can savor the victory having one the Battle for Brooklyn.